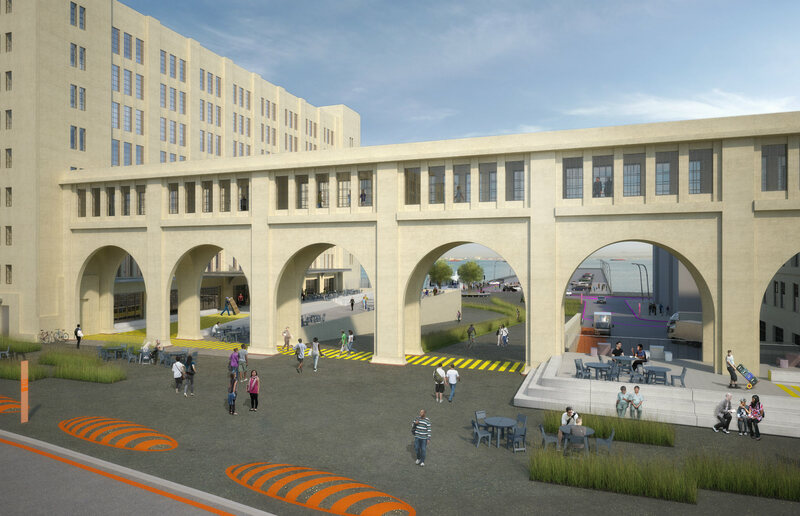 The new public space improvements from WXY include new seating, permeable pavement for improved stormwater runoff, and better way-finding mechanisms. 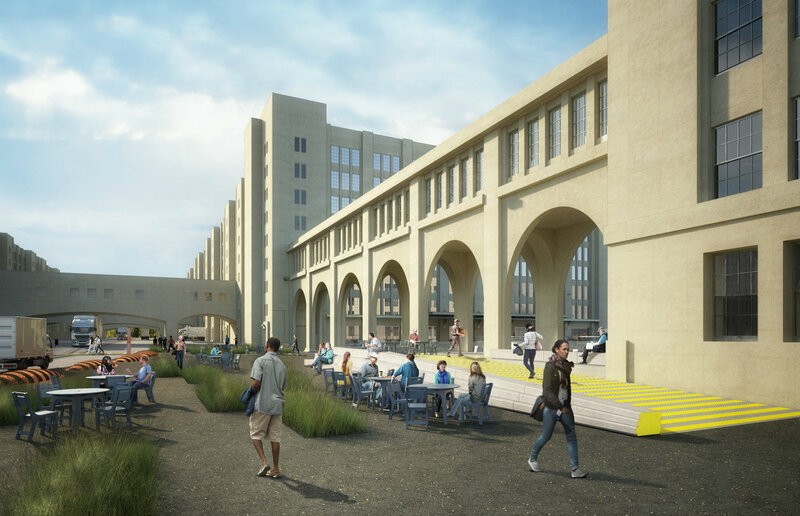 New renderings of Sunset Park’s Brooklyn Army Terminal (BAT) and its renovated landscape—part a multimillion dollar expansion project—have been released, as first reported by Untapped Cities. 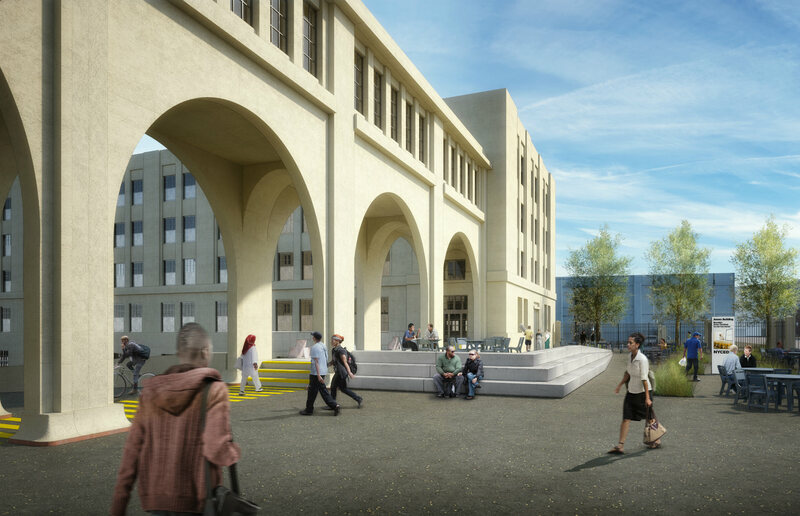 In 2015, Mayor de Blasio dedicated $115 million of funds to renovate the three million-square-foot site into a campus that would bring in commercial and industrial tenants. 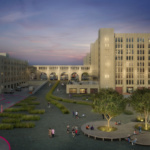 A former World War I military supply base, the Cass Gilbert–designed site was designed to foster an intermodal system of transferring goods between ships, trains, and trucks. 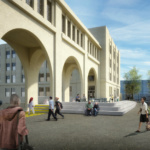 The confusing circulation has previously deterred tenants from moving to the facility, and in an effort to attract more tenants, New York–based WXY is redesigning the campus’s outdoor space. 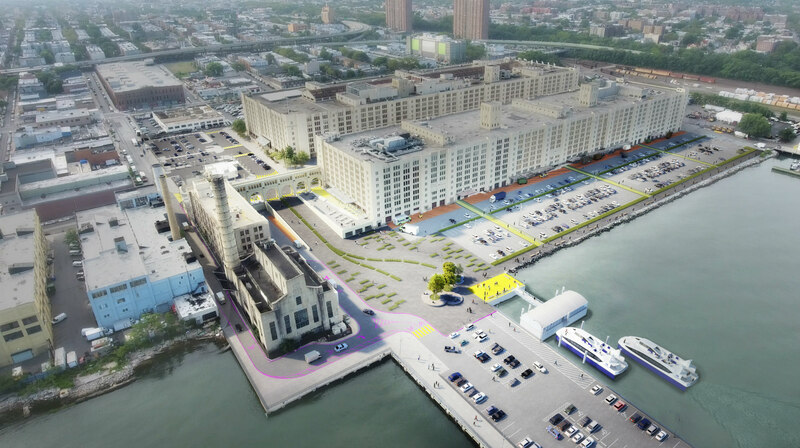 WXY’s new public space improvements, which span 12,000 square feet, include new seating, permeable pavement for improved stormwater runoff, and better wayfinding mechanisms for pedestrians to navigate between the ferry landing, parking, and the building. 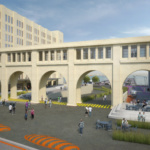 The existing landscape will be preserved where possible. 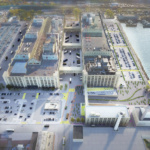 The city acquired the complex in 1981 and the New York City Economic Development Corporation (NYCEDC) is the steward of the terminal. 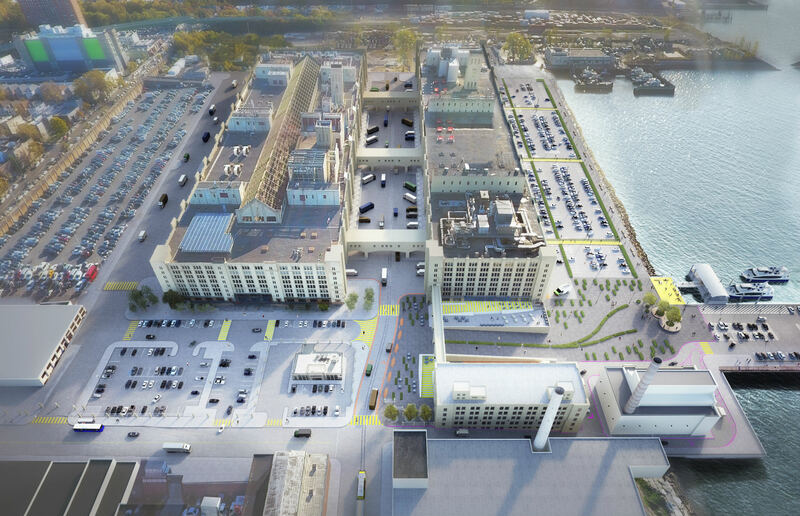 The city has been trying to attract new tenants in its ‘Core Four’ industries: traditional manufacturing, advanced manufacturing, food manufacturing, and Made in New York (production of film, TV, and fashion). 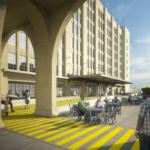 The terminal’s floors are made out of reinforced concrete and can support loads of 250 to 300 pounds a square foot, making it well suited for manufacturing industries. 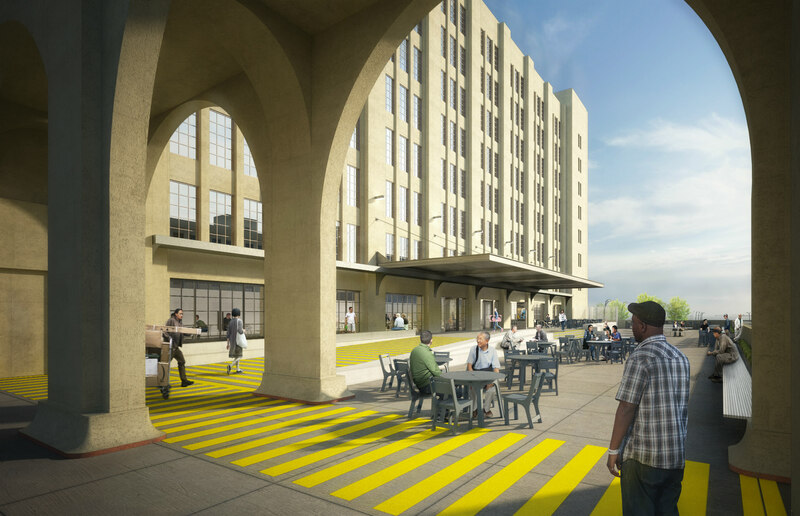 The renovation will bring an additional 500,000 square feet of manufacturing space by this fall. 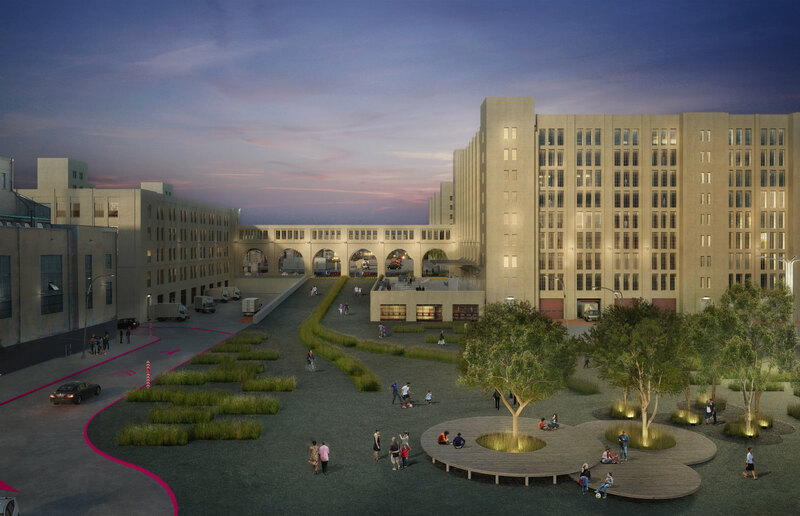 Rent hikes and small spaces have forced manufacturing companies out of the Garment District, and the city hopes the revival of Sunset Park’s many industrial spaces will aid the ailing industry, according to a New York Times report earlier this year. 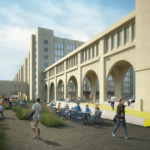 “The Brooklyn Army Terminal has grown into a hotbed for modern manufacturing, diversified talent, and entrepreneurial zeal,” said NYCEDC President Maria Torres-Springer in a statement last year. 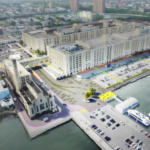 The redevelopment of BAT joins neighboring Industry City and the South Brooklyn Marine Terminal along the Sunset Park waterfront.